There are few places more ideal than the Pacific Northwest in Summertime. The parkas are put away in favor of wet suits. The natives stop avoiding the water and start attacking it. Now, thanks to some of the guys at Mountain to Sound Outfitters and Sea Kayaker magazine (among others), there is a place to purge all that cold weather angst. The inaugural Northwest Paddling Festival is slated for June 25 and 26 at Jack Block Park in West Seattle. The park is owned by the Port of Seattle, encompasses 13 landscaped acres with shoreline access and elevated viewpoints of Seattle’s harbor and skyline. The port property was formerly the site of a wood treatment facility and a designated Superfund Cleanup area. Following years of restoration by the port, the EPA has approved the site suitable for public beach access. The beach opening will coincide with the opening of this event. 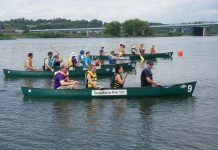 The Northwest Paddling Festival will showcase on-water demonstrations, on-water instruction, races, classroom lectures and live music. The location has a stunning view of downtown Seattle and has ready access to the nightlife of both downtown Seattle and Alki Beach. 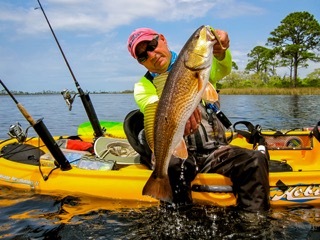 Jack Block Park offers 350 feet of beach front for paddle-sports manufacturers to show their wares and make them available to festival attendees and the general public. Two tents will serve as classrooms. 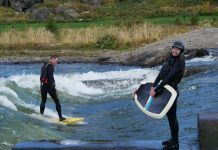 There will also be on-water classes and demonstrations. The West Seattle Chamber of Commerce will arrange for local food vendors to be present and help promote the event to local residents. The Festival will promote Sustainable Tourism, an objective supported by the City of Seattle, King County and the West Seattle Chamber of Commerce. This link will also house the participant registration forms when they are up and ready! The entire course is viewable on land so it has great spectator appeal, with amazing backdrops of the Seattle skyline and Olympic Mountains. Next articlePaddling in London: Sprint National Team Trials Help USACK Team Take Shape for 2012 Games.